In highball or tall glass over ice, mix vodka, tequila, gin, rum, liqueur, simple syrup and lemon juice. Stir in cola. Garnish with lime slice. To make Long Beach Iced Tea, substitute cranberry juice for the cola. Serve this cocktail in a hurricane glass or other unique-shaped glass you have in your cupboard. What’s in a Long Island Iced Tea? Well, it’s definitely not tea, but this classic cocktail IS a pretty potent brew. 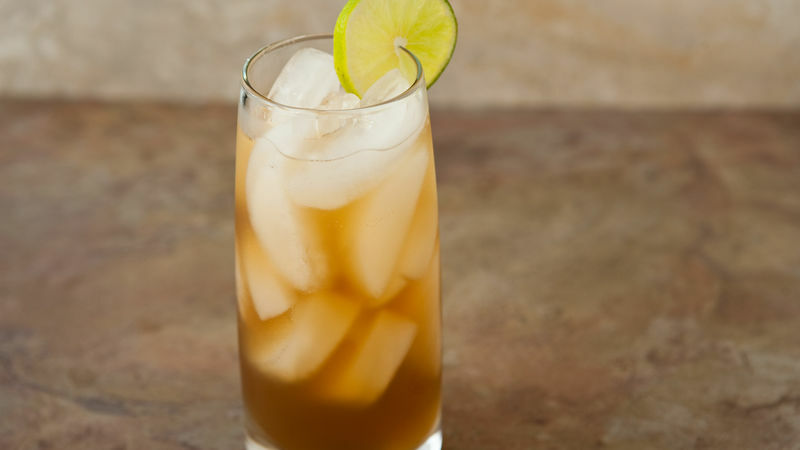 Vodka, tequila, gin, rum and tequila do the heavy lifting, and a splash of cola at the end adds just enough color to look like regular iced tea. This drink has a reputation for being dangerously/hilariously strong—somehow all those different kinds of alcohol kind of cancel each other out, flavor-wise, and the resulting cocktail is supremely drinkable. Perfect for any of the after-5 p.m. "tea parties" on your calendar.